The introduction of 'market prices' for healthcare services - one of the fundamental health reforms being introduced by the Xi Jinping government - triggered immediate and widespread opposition in Chongqing and was abandoned after just six days. 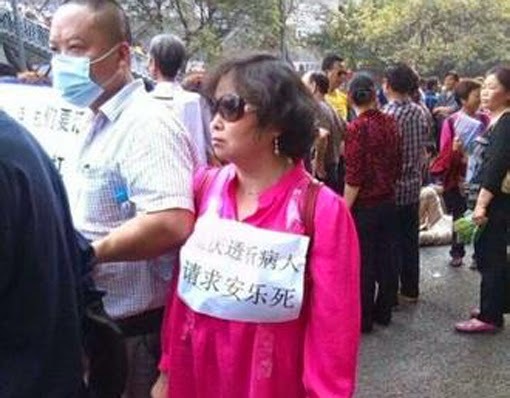 In what is likely to be a major setback for health minister Li Bin, the centrepiece of her healthcare reforms was publicly shouted down by angry demonstrators who took to the streets of Chongqing last week. The new policy was intended to move hospitals away from the flawed policy of relying too much on drug sales for income. However, by shifting to a 'zero commission' policy for pharmaceuticals the hospitals are then forced to start charging more realistic (ie higher) rates for other medical services. When introduced in Chongqing on March 25, about a thousand dialysis patients took to the streets, complaining that the cost of their daily treatment had more than doubled from 95 yuan to 200 yuan. This would mean their monthly costs would rise to about 3500yuan, most of which was not covered by their state health insurance. Dialysis services were just one of 7886 medical items that were 'adjusted' from march 25 by the Chongqing health department. According to official media, the prices of consultations, surgery and other care services rose from 13% to 30%. The health department also said that some fees were reduced by up to 25%. 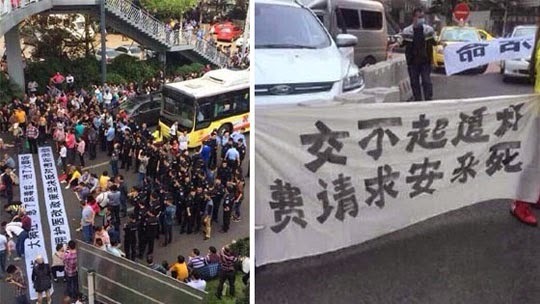 However, after angry demonstrations, the Chongqing mayor Huang Qifan convened an emergency meeting on April 1 and announced that the hospital fees would return to the 2014 'standard' level until further notice. The demonstrations have been reported in the media, with patients telling reporters about the actual effect of the price changes on their medical expenses. Haemodialysis patients said their monthly medical bills would increase by thousands of yuan as a result of the price hikes. Health analysts told Caixin that the market price adjustment policy failed because there was no 'free market' system for health in China. They said the sector-level reform was 'backward' and there was an underlying problem of national health underfunding, with patients being under-insured and cities such as Chongqing lacking the funds to meet the increasing demands of an ageing population's healthcare costs. They said the reforms simply passed on healthcare costs to vulnerable patient groups such as those needing dialysis, who would face impossibly large 'gap fees'. The reforms have now been put on hold for further public consultation. What this means for the introduction of similar reforms planned for 16 of China's major cities remains to be seen.